Hi everyone. In this walkthrough/how-to article, we'll be going over how to create a standard Bitcoin wallet, however, instead of using an exchange service like Coinbase or an online wallet, we'll be using one of the most convenient and most secure options: Electrum. We'll also be covering basic functions of the wallet, such as sending/receiving bitcoins. This article is also Part 2 of @mooncryption's Electrum BTC Wallet Series, where we explore the features and functions of one of the world's most popular Bitcoin wallets. Click here for Part 1 (a feature list and explanation). Step 1. Download Electrum. To download, go to the Electrum download website. Then, follow the directions for your operating system as it shows on the page. For Linux, you'll need to install using the command line. For Windows, download the one that says "Windows Installer." For macOS, download the one that says "executable file." For Android, you can download from the Google Play Store. Step 6. It's very important to keep this seed secure, as this is your only form of recovery/backup if your computer fails. Write down the seed on paper (not electronically) and keep the paper in a very safe location, and remember where you put it. Also, only trust very close family/friends with the location of that piece of paper. Step 7. Press "Next." 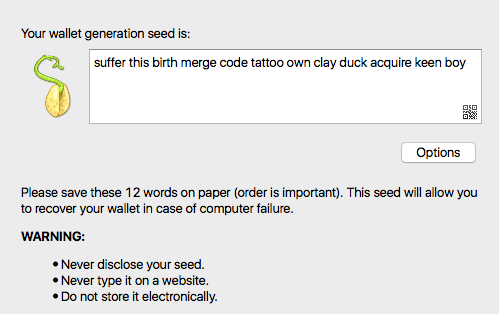 Now, Electrum will ask you to type in your seed in order to verify you saved it in a safe location. Pull out your piece of paper and carefully copy the seed to Electrum. Type in a memorable yet secure password and leave the "Encrypt wallet file" option checked. This makes sure that other malicious applications on your computer can't access your wallet. Step 1. 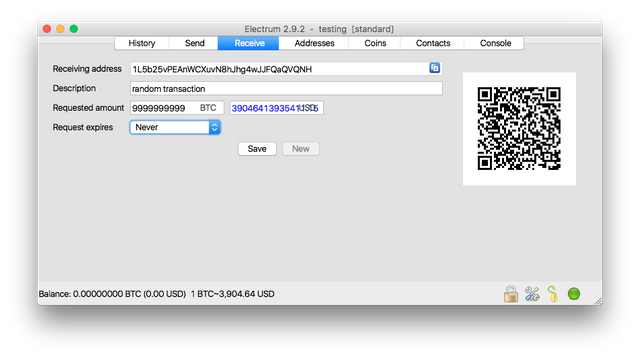 If you haven't already, open the Electrum application, log in with your password, and get to the wallet screen (with the tabs at the top). Step 3. In order to receive Bitcoins, give the sender or person who is sending you the BTC the Receiving Address shown (a long string of text starting with a 1). That's all they need to send you the BTC. And just like that, you're done. Your friends can send bitcoins any time they want to the address you gave them. Now, let's go over sending Bitcoins. Step 1. If you aren't already inside Electrum, open the application and log in with your password. Step 3. First, ask your friend or copy the address you want to send BTC to, and paste it in the "Pay to" field. Also, if you want to, fill out the "Description" field. 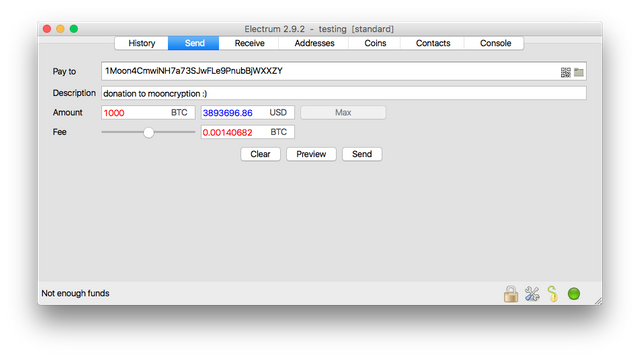 Your friend or receiver won't see your description, but Electrum will save your description so you can remember what the transaction was for later on. Step 4. Fill in the amount in BTC. If you want to send all the bitcoins in your wallet, press the Max button. Remember to double-check your amount to make sure you're sending the number of bitcoins you want to send. If the amount you write in is larger than the amount on your wallet, you may receive an error such as "Not enough funds" in the bottom-left corner. Step 5. Finally, fill in the fee. 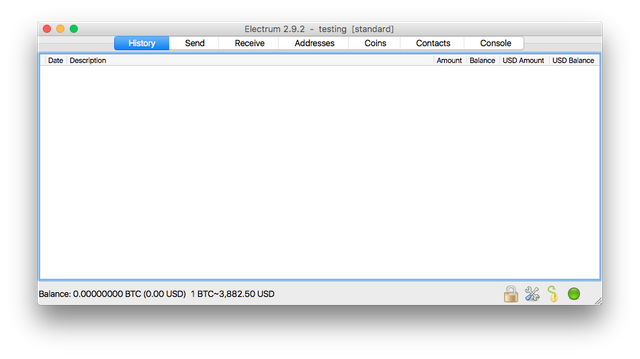 You can let Electrum choose your fee dynamically using the slider or suggestion, or you can change it in yourself. The higher the fee, the faster your transaction will go through, and vice-versa, so choose your fee wisely. Step 6. Finally, press Send. Electrum will ask for your wallet password (not your seed! ), the one you made after you got your seed (the secure/memorable one, not the one you wrote down on paper). Type it in, and hit enter. 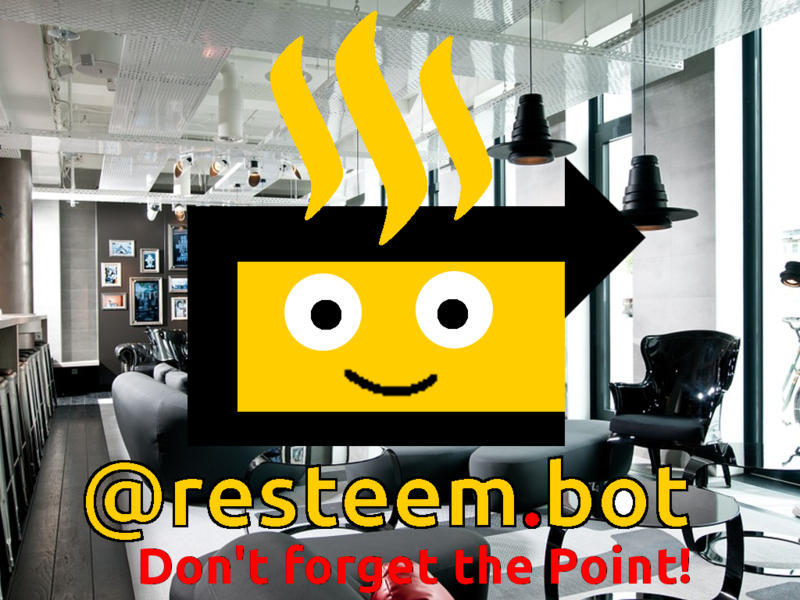 Your transaction will be sent out to the Bitcoin network for confirmation! image sources: All images are from my usage of the Electrum application on macOS. disclaimer: Electrum did not sponsor this review. I just fell in love with their application after using it for a while, and wanted to share it with you guys. The next part of this series (Part 3) is coming out in the next few days, so stay tuned! Wonderful... @mooncryption Motivating and it makes me happy to see hard work and determination prevail. Love it. Do you have any recommendations regarding the post? Great instruction @mooncryption. I have a question you might be able to answer. Let's say you have 1 btc on Electrum wallet. If you had that in there before the split you now have 1 btc and 1 bcc. So far so good. Let's say you haven't transferred that bcc to the electron wallet yet. But you want to buy 1 more btc on Coinbase before the coming second fork in November. You do that, and you send it to your electrum wallet. Do you in november have:? 2 Bitcoin legacy, 2 Bitcoin segwit2x and 1 Bitcoin cash in your electrum wallet? Will you always be able to transfer your bitcoin cash to the electron wallet? This post has been ranked within the top 50 most undervalued posts in the first half of Sep 21. We estimate that this post is undervalued by $28.18 as compared to a scenario in which every voter had an equal say. See the full rankings and details in The Daily Tribune: Sep 21 - Part I. You can also read about some of our methodology, data analysis and technical details in our initial post. Great article. Thanks. I have Bitcoin.